As an IT professional, you need to know how to perform network security assessments. 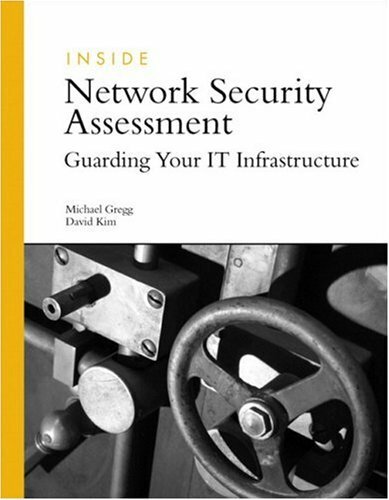 Inside Network Security Assessment: Guarding Your IT Infrastructure is a collection of utilities and templates that will take you through the assessment process. Written by two highly qualified authors with close ties to the International Information Systems Security Certification Consortium, this book was developed with the goal of being a text for the CISSP continuing education class on Network Security Assessment. You will be provided with step-by-step training on assessing security, from paperwork to penetration testing to ethical hacking. The supporting website will also provide you with access to a variety of tools, checklists, and templates to make your job even easier. You'll save everyone time and money by learning to perform security assessments yourself with the help of Inside Network Security Assessment. Michael Gregg, President of Superior Solutions, Inc, has more than 20 years of experience in the IT field, with expertise in security, networking, and Internet technologies. He holds virtually every major security certification and has been instrumental in developing the Villanova University Online Security Curriculum and the CISSP Certification Training Distance Learning Curriculum. David Kim, President of Security Evolutions, Inc, specializes in IT security consulting, training, and courseware development. He is also the COO of the IISSCC and is responsible for the content and product development for the CISSP and SSCP certification credentials and training materials.